We are real Moms. We are real healthcare practitioners. Experience a line of products dedicated to offering premium, natural solutions for pregnancy, breastfeeding and newborn skincare. Our thoughtfully crafted formulas are sourced with great care. Our great admiration for Mother Earth is reflected in each of our mindful products. We use only the best of the best. We have researched and refined our formulations to work fast, based on the latest science available. Rumina – the Roman goddess of breastfeeding and protector of nursing infants – inspires us to honour your journey down the magnificent path of Motherhood. Discover the peace of knowing you and your baby have the best nourishment, inside and out. 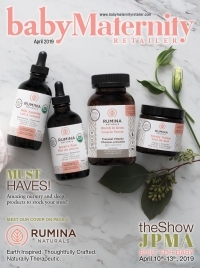 Discover Rumina Naturals. Premium products for pregnancy, lactation and baby.